Choom™ (CSE: CHOO)( OTCQB: CHOOF) (the “Company” or “Choom”), a fully-integrated cannabis company, is pleased to announce the appointment of Kyp Rowe to the Management team in the role of Director of Operations. Mr. Rowe will be a key member of the Choom team, leading our premium craft cannabis cultivation strategy to support our retail roll-out for the recreational market in Canada. With over 20 years of international cannabis and mixed agriculture experience, Mr. Rowe brings a unique set of skills from seed to sale. He was most recently with Sante Veritas Therapeutics, an ACMPR applicant in British Columbia, where he helped bring them to the final stages of licensing. A graduate of UBC, he also spent 8 years as Vineyard Manager and Cellar Master at a winery in the Okanagan, where he oversaw the implementation of a fully certified organic vineyard, producing wines which won multiple national and international wine competitions. He has managed a European breeding facility that produced cannabis seeds for worldwide distribution, as well as overseeing a large-scale award-winning cannabis production farm. With his deep experience in the cannabis space, Mr. Rowe will be instrumental in helping Choom navigate the pending landscape of legalized recreational use for adult consumers. The Choom brand is inspired by Hawaii’s “Choom Gang”- a group of buddies in Honolulu during the 1970’s who loved to smoke weed—or as the locals called it, choom. Evoking the spirit of the original Choom Gang, our brand is synonymous with cultivating good times with good friends. We are focused on delivering an elevated customer experience through our curated retail environments, high-grade handcrafted cannabis supply, and a diversity of brands for the Canadian recreational consumer. New York – June 19, 2018 (Investorideas.com Newswire) The legal cannabis era is here. As the ‘green rush’ to capitalize on it builds momentum in North America, innovation research and advisory company Stylus highlights five emerging trends shaping the future of cannabis culture and consumption. Cannabis has the potential to match alcohol as the recreational product of choice in the US. Use among US college students is already climbing, while drinking is declining. It plays a similar role to alcohol, lending itself to party-goers, parents and others looking to unwind – even serving as a host gift in lieu of wine. It’s especially appealing to those eager to avoid hangovers or alcohol’s calorie count. A ‘by and for’ women’s sector is booming in the industry. Women are among the fastest-growing cohorts of cannabis consumers – spending by females on cannabis deliver app Eaze increased by 20% in 2017, and increasingly prolific as cannabis entrepreneurs. As a result, products that skew towards feminine tastes – from menstrual-relief products to sleek pipes and jewelry that doubles as a sophisticated roach clip – are proliferating. Women are defining the future of cannabis. Cannabis hasn’t yet been widely integrated into the mainstream medical community, but that will change. We’ll see an upswing in education available for healthcare providers and patients, and an evolution of products geared to patient use – enabling users to more precisely control dosing, for instance. Legalization is bringing more biotech and other start-ups into the space, all likely to advance understanding of how cannabis can aid patients and help adapt it to clinical use. As several key medical benefits of cannabidiol (CBD, the non-psychoactive compound of cannabis) – including relief from anxiety and joint pain – appear to help animals as much as humans, CBD-infused products for pets are booming. The potential here is enormous, given that Americans now spend nearly $70bn annually on their pets, and younger owners in particular are embracing alternative remedies to ensure optimal animal health. Stylus is a global innovation research and advisory company that identifies and connects the most important global and cross-industry trends. Our insights are used by more than 500 of the world’s leading consumer brands, businesses and agencies to understand the attitudes and behaviors of their consumers, the products and services they’re using, and how they engage with the world around them. Our team of 150 industry experts work across five continents, analyzing more than 20 consumer-facing industries. We operate out of New York, Miami, London, São Paulo, Melbourne, Singapore, Tokyo and South Korea. www.stylus.com. 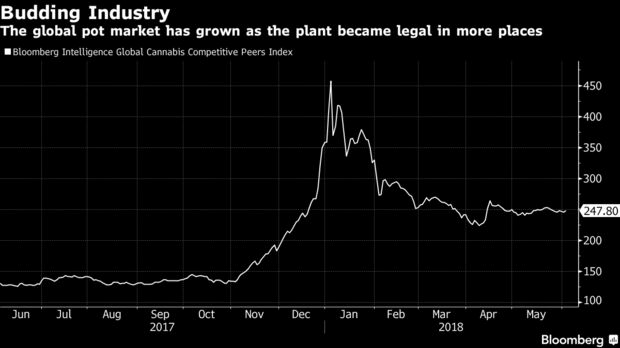 The growing menu of cannabis stocks may be enticing for investors seeking to profit from the green gold rush, but betting on winners is not easy. 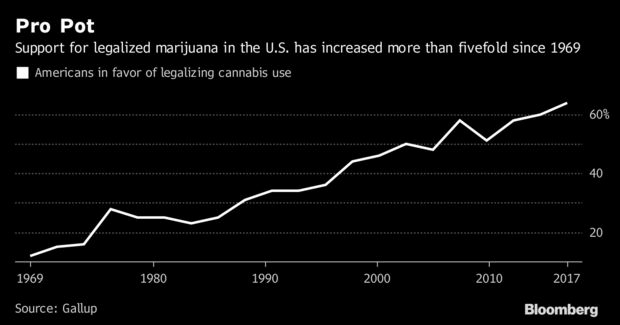 Cannabis companies have been in the spotlight during the run-up to the legalization of recreational pot in Canada. With the passage of Bill C-45 in the Senate, the sale of marijuana now has the green light, although it will be fall before consumers can buy cannabis products. Risks for investors still abound in this young industry. There is uncertainty as to whether producers can meet delivery targets, or whether there could be a cannabis glut. It is unclear whether restrictions on cannabis advertising will make it difficult for the legal product to compete against the black market. And it hasn’t been determined how much dilution shareholders face because of bought-deal financings, whereby the underwriting syndicate buys the entire stock offering and resells the shares to their clients. Given the potential landmines among pot plays, we asked three cannabis-focused fund managers for some of their top picks. Hydropothecary, whose cost of production is less than $1 per gram, also benefits from cheaper power in Quebec. The firm is an unlikely takeover candidate but could partner with a major beverage or drug-industry player, he adds. The Vaughan, Ont.-based cannabis producer is well-positioned as a play on medical marijuana that could “explode in demand,” Mr. Taylor suggests. It sells higher-margin cannabis oils and has introduced innovations, such as vegan-based capsules. The firm, which has reported three consecutive quarters of profit, recently raised $100-million from a bought-deal to meet its growth needs. CannTrust, whose stock trades at a big discount to peers such as Canopy Growth Corp., could be a takeover target for a pharmaceutical giant, he says. Shares of the Leamington, Ont.-based medical cannabis producer, which are off sharply from their January peak, are compelling on a relative-value basis, says Mr. Taerk. Aphria’s recent acquisition of Nuuvera Corp. was controversial because of cross-ownership, but it is helping global expansion, he says. Aphria, a low-cost producer, now has access to more than 13,000 pharmacies in Germany. The firm, whose current production capacity is second only to Canopy Growth Corp., has also posted 10 consecutive quarters of positive earnings before interest, taxes, depreciation and amortization (EBITDA), he notes. It has a strong management team led by Vic Neufeld, formerly CEO of Jamieson Laboratories Ltd., he adds. Aphria is building a $55-million extraction facility for cannabis concentrates to be used in everything from edibles to infused beverages, and has also partnered with Southern Glazer’s Wine & Spirits for product distribution, he adds. Organigram is one of the top five Canadian licensed medical marijuana producers in terms of current production capacity, but its stock trades at a significant discount to its bigger peers, says Mr. Taerk. Based in Moncton, N.B., it doesn’t have the profile of Ontario players but benefits from lower power rates and cheaper land costs, he adds. Organigram lost its organic certification in 2016 after some batches tested for pesticides, but new management led by chief executive officer Greg Engel “has turned the ship around,” he says. The company will be getting its certification back, but only a small part of its business will be organic, Mr. Taerk notes. Organigram’s cost-per-gram averaged $1.22 during the latest quarter, which is low for an indoor grower, he says. Organigram, which is doing a “nice job of creating a brand strategy” for recreational cannabis, is also a potential takeover target or could merge with other regional players, he adds. Bruce Campbell, president of StoneCastle Investment Management Inc., Kelowna, B.C. 52-week range: 75 cents to $3.50 a share. The company, whose production facilities are in Kelowna, B.C., holds a dealer’s licence to produce and sell its higher-margin cannabis oils, and has an agreement with Canopy Growth Corp. to distribute its products through its CraftGrow program. Valens has applied for a cultivation licence, but also signed a deal recently with Speakeasy Cannabis Club Ltd., which will also supply it with cannabis. Valens, which has a licence to offer cannabis-testing services, has teamed up with U.S. scientific instruments maker Thermo Fisher Scientific Inc. to do so. Valens could be a takeover target for players wanting extraction expertise or could even merge with smaller firms to build a regional powerhouse, he says. This Chilliwack, B.C.-based company, which is involved in growing and distributing medical and recreational marijuana in the United States, operates three distinct business lines, says Mr. Campbell. Its business is focused on Nevada, a medical-marijuana state that legalized recreational cannabis in 2016. Friday Night is a potential takeover target for a player that wants a foothold in that state, or it could be an acquirer, too, he says. Alternative Medicine Association, its licensed producer, is building a new cultivation facility in Las Vegas to expand capacity, and recently bought an adjacent building for cannabis extraction. Its Infused MFG unit produces cannabidiol (CBD)-infused products ranging from pet products to lip balms and cream. And its Spire Secure Logistics unit, which gets a recurring revenue stream from selling security services to the cannabis industry, will see demand grow as the industry matures, he predicts. Complicating those issues even further, a ruling from a U.S. tax court judge released this week will make it more difficult for legal weed businesses to square up with Uncle Samcome tax season. For state-legal weed businesses around the country, the deduction denial is yet another strain on an already tenuous relationship with finances and banking. Despite repeated efforts from cannabis advocates and lawmakers, federal law restricts banking institutionsfrom working with marijuana businesses, leaving growers and dispensary owners around the country counting their payroll, taxes, and profits in cash. Danny Moses wasn’t afraid to broadcast he’d profited from the 2008 housing crisis, but he’s keeping his latest investment — the burgeoning cannabis industry — closer to the vest. Moses, who was head trader at FrontPoint Partners under Steve Eisman, as documented in the book and film “The Big Short,” says the plant’s still federally illegal status has left people like him hesitant to make pot investments public. Wall Street’s biggest institutions may not be getting into the Green Rush, but individual investors are quietly diving in. One haven for Wall Street money, including from Moses, is Merida Capital Partners. The private equity firm has drawn backers with resumes that list the world’s most well-known banks and technology companies. The cannabis industry is expected to reach $75 billion in sales in 2030, up from $6 billion in 2016, according to investment bank Cowen & Co. Still, marijuana remains illegal on a federal level and is classified as a Schedule 1 narcotic. The drug’s Reefer Madness-fueled reputation has held people like Moses back from publicly flouting industry involvement. As the father of two teenage boys, Moses said he feared being labeled the “pot dad,” emphasizing that he’s against young people using the plant unless there is a proven medical need. But the cultural reaction to cannabis is changing. Sixty-four percent of Americans are in favor of legalizing it, according to an October Gallup poll. That helped sway Wall Street investor Paul Ciasullo, 59. “My 82-year-old mother said it was a good idea to get into the space,” he said. Now he’s invested 10 percent to 20 percent of his portfolio in the industry. The illicit nature of the product makes investing a more difficult task than putting money in other consumer packaged goods. There are few publicly traded companies and well-known executives are scarce. Enter Merida. The private equity fund is largely focused on investing in businesses that provide ancillary products to the cannabis industry, like software and packaging. About 15 percent of the portfolio is plant-touching. Mitch Baruchowitz, 43, founded the New York-based firm in September 2016. He was previously associate general counsel and chief compliance officer of MarketAxess, an electronic trading platform, and the general counsel of boutique investment bank Pali Capital. His two decades dealing with legal filings and complicated regulations fueled his entrance into the pot business. That’s what Baruchowitz did. He filed and won licenses with groups to grow marijuana in several states. Then, with three years of experience in cannabis under his belt, he decided to switch his focus to the more asset-light side of things and founded Merida, he said. Baruchowitz’s understanding of the industry and his background in law and finance helped attract many investors to the company. The firm boasts backers that range from Wall Street veterans to early participants in some of the world’s largest technology companies. Many said they aren’t pot users themselves, and all cited the plant’s medicinal potential, particularly for helping deal with the opioid crisis. Most of the stakeholders who agreed to be interviewed wouldn’t speak on the record. The reasons for anonymity included concern that publicly acknowledging the investments could negatively impact their personal and professional lives. That same stigma has also fueled investment in the industry. Goldburg, 55, first joined Merida as an investor before coming on board as a partner. In the six months since he officially joined the ranks, Merida has surpassed $50 million in assets under management. Every month, the firm will see about 75 deals and does due diligence on as many as 10 of them. Part of its strategy is holding itself and potential investments up to the standards of other types of asset classes. Republican lawmakers want to end prohibition on their own, ahead of November’s ballot initiative vote, in hopes of tightening the state’s proposed green rush regulations. Republicans in the Michigan legislature want to vote on recreational cannabis legalization before the week is up. But while Great Lake State conservatives could finally open the floodgates for marijuana policy reform in the Midwest, the socially progressive crossover is still flush with ulterior motives. According to Michigan Live, the legislative legalization push would enact the state’s prohibition-ending marijuana ballot measure before a public vote, allowing Michigan’s lead Republican lawmakers to more easily amend the law and add new, presumably stricter, regulations to the state’s impending green rush. “I’m proposing that we adopt it and amend it and put it right under the [medical] marijuana law and regulate it,” Senate Majority Leader Arlan Meekhof, R-West Olive, who is leading the legalization charge, told MLive. Late last year, Michigan cannabis activists collected over 360,000 signatures in support of a legalization ballot measure appearing in the upcoming midterm elections, which was then quickly approved by state officials. Compound that initiative with polling data that shows over 60% of Michigan voters support legalization, and experts around the country have widely predicted the Great Lake State as a near-lock for legalization. If passed, the ballot measure would legalize the possession, use, and sale of marijuana for adults 21 years and older. Residents and tourists alike would be able to carry up to 2.5 ounces of weed and purchase pot from state-licensed stores. Like Colorado, Michigan’s legalization program would direct cannabis tax revenue to local schools and road repairs, with a proposed 10% excise fee added to every marijuana product. Reading the writing on the wall, Michigan legislators and anti-cannabis advocates have all but given up the fight for prohibition, and have now shifted their focus towards regulatory control and the ability to amend the particulars of legalization. Put to a successful popular vote, Michigan lawmakers could amend the voter-approved ballot initiative with support from three-quarters of the state legislature. If the legalization effort is passed by legislative vote, though, Sen. Meekhof and his Republican peers will only need a basic majority to make changes to the state’s marijuana laws. With a current conservative majority in Lansing, those changes could be made as quickly as the bill is approved. For the cannabis advocates who worked tirelessly to construct and validate Michigan’s legalization measure, the legislative power grab is troubling. Like post-legalization problems in Massachusetts, Maine, and elsewhere, supporters are worried that legislators could add unnecessary red tape and delay the implementation of Michigan’s retail market. In addition to possibly adding higher taxes or stricter zoning rules for pot shops, political experts have argued that a legislative end to marijuana prohibition could change the outcome of Michigan’s other November elections, with young people potentially discouraged from participating in the democratic process without the option to vote for legal weed. If Senator Meekhof and Great Lake State Republicans are going to pass cannabis legalization on their own, though, they will need to act fast. Michigan’s Senate and House of Representatives must both approve the initiative before the end of Tuesday, or the measure will automatically be sent to November’s ballot for a public vote.